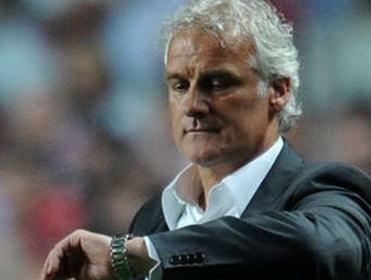 Is time running out for Feyenoord boss Fred Rutten? "The draw is valued at [3.6] and Feyenoord simply cannot afford to lose this game. I see Jordy Clasie and company pulling out all the stops to prevent Ajax leaving with all three points." The opening game of the weekend sees two of the overachievers so far in the Eredivisie campaign meet as seventh-placed NAC Breda travel to Tilburg to face 11th placed Willem II on Friday evening. Jurgen Streppel's Willem II provided a major shock last weekend as they inflicted a 2-1 defeat on Feyenoord with former De Kuip star Samuel Armenteros coming back to haunt his old side with a goal. The Tricolores will look to build on that huge result against Nebojša Gudelj's NAC Breda. The visitors themselves last weekend clinched an away victory at FC Dordrecht on the back of a 3-1 surprise home win over PEC Zwolle the week before. After recording two points from the first three weekends, Breda look to this game to register the third consecutive win, however I seem to think that these two may cancel each other out in a score draw at the Willem II Koning Stadion on Friday. Look for Terell Ondann (Willem II) and Adnane Tighadouini (NAC) to be the stars of the show going forward but I see the draw at [3.8] being a great way to get the weekend underway with some real revenue. After both sides experienced tough European competition in midweek, all attentions turn to De Kuip on Sunday as bitter rivals Feyenoord and Ajax clash in De Klassieker. Frank de Boer's men gained a fabulous Champions League group point at home to PSG on Wednesday night ahead of this game as Feyenoord faced a strong test against Sevilla on Thursday night in the Europa League. For the hosts, goalkeeper Kenneth Vermeer will start against his former side after completing a controversial switch on deadline day and the stopper will be fully aware of the threats of Davy Klaassen, Kolbeinn Sigthorsson and Lasse Schöne in attack. However, the latter is a doubt due to a groin strain picked up against PSG midweek. Head coach Fred Rutten is under pressure from the Rotterdam fans and media after claiming just five points in as many games and could look to this huge contest as a way to appease the doubters. On-loan winger Colin Kazim-Richards will be pushing for a place in the starting 11 after scoring the consolation goal in last week's poor showing against Willem II, with him and tall forward Mitchell te Vrede looking to be the main source of goals for the Rotterdammers. The draw is valued at [3.6] and Feyenoord simply cannot afford to lose this game. I see Jordy Clasie and company pulling out all the stops to prevent Ajax leaving with all three points. After tasting their first defeat of the season to PEC Zwolle last Sunday, PSV will aim to get back to winnings ways while entertaining a dangerous SC Cambuur side, who finds themselves third in the standings after a great start to the season under manager Henk de Jong. Philip Cocu's men were on a four-game winning streak before falling 3-1 last weekend to Zwolle after losing star man Memphis Depay to an early first-half groin injury that will keep the 20-year-old out for up to eight weeks. Young striker Jürgen Locadia is ready to step into Depay's boots and get a lengthy run in the side. The Eindhoven side faced a tricky encounter in the Europa League midweek against Estoril and barely overcame their Portuguese opponents by the single goal. I see PSV narrowly overcoming Cambuur but not without a fight as the Leeuwarden side are capable of finding the net, scoring 10 goals in the opening five games thus far. Even though Cocu's men sit top of the league they have only kept one clean sheet in five and I see De Jong's boys netting once or twice at the Phillips Stadion this Sunday. Looking at our recommended bets, 'Both Teams to Score' is a decent price at [1.78] and we could see goals aplenty in this contest.